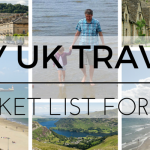 Hola chicos, I wrote a post a few months back about my UK Travel Bucket List for 2016, explaining my love of travelling and exploring new places. We are getting closer to Summer and naturally I’ve started to think about getting out and about visiting places. 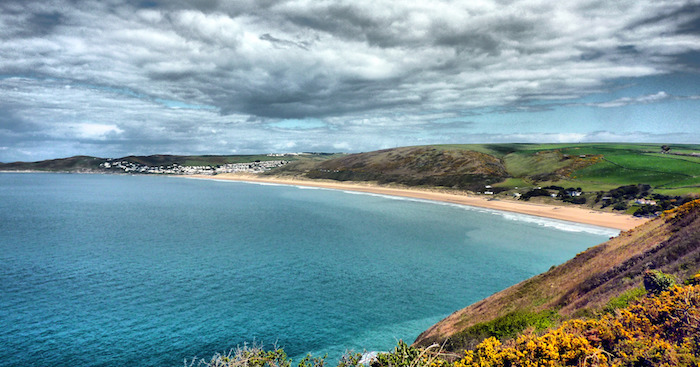 One of the places I have come across in particular, is the beautiful looking seaside resort of Woolacombe, located on the coast of North Devon. 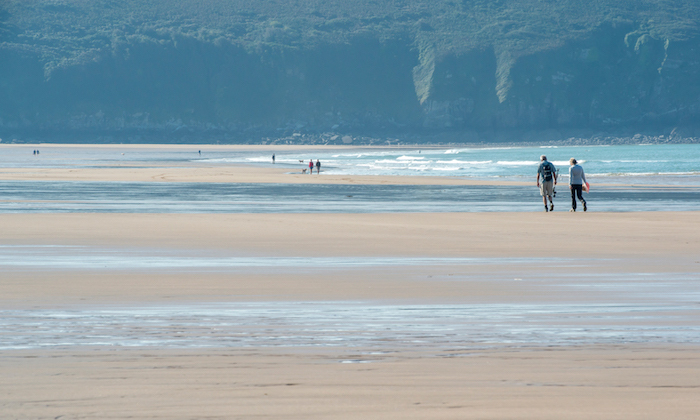 Last year, Woolacombe beach was named not only the best beach in the UK but as one of the top 5 beaches in Europe compiled from reviews on TripAdvisor. This was amongst the likes of Rabbit Beach, in Lampedusa, Italy; Playa de Ses Illetes, on the Balearic island of Formentera; and Elafonissi beach in Greece. That’s quite something then. The reasons for this are said to be down to the fact that it is clean, safe and very long, taking in three miles of white sands, backed by rolling dunes. 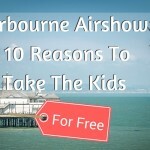 That means that even in the busy Summer periods it is easy for visitors to find their very own bit of beach to stretch out on with plenty of space for typical beach activities such as frisbee throwing or sandcastle building. How fantastic is that? As well as the beach itself, there are also rock pools to splash about in too, which are great for children to explore. Dogs are welcome too, as there is a special section where they are free to run around. On top of this, the facilities are said to be top-notch, parking is reasonably-priced, interesting shops, pubs and cafes. I haven’t mentioned the surfing or the bodyboarding yet either! Apparently, surfing competitions are held regularly in Woolacombe. I love this because coming from a country where surfing is a well loved sport, just being able to see the surfing competitions makes me feel at home! I would love if my little terrors could learn how to surf. I’m sure they will love that but perhaps surfing lessons will be more for Bella as Sienna is still too little for that. Perhaps unlike some of the other European resorts I’ve listed above, you won’t find any all-night parties or swanky beach bars. This is very much a more traditional, old fashioned resort in that sense but this, I think adds to the beauty as it sounds very family friendly. With kids around, the only thing you want to do at the end of the day is to have an early night. I don’t think I can cope with late night partying anyway so this place sounds perfect for us. Perhaps a nice meal and a drink in front of a fire can be something nice to do. I’m also told that you should be sure to check out the far end of Woolacombe beach where you can find Putsborough Sands. Apparently, it has the same clear water and great surf as Woolacombe, but with a gentler feel. I really would like to visit that as it sounds fantastic! Exmoor Zoo – This is apparently a great zoo! 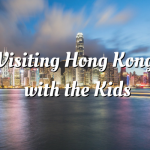 Mortehoe Museum – Built with kids in mind, the family will have a blast! Watermouth Castle and Family Theme Park – Gorgeous gardens, wild rides and even a water show…what more could you ask for? Ilfracombe Museum – Stuffed centipedes and mounted Bison heads, a museum with a difference, sounds like it could be worth a visit! 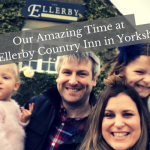 Quince Honey Farm – Find out how honey is made! Lynmouth Cliff Railway – Amazing views can be had from one of the world’s most famous railway routes! Combe Martin Wildlife and Dinosaur Park – Kids and dinosaurs, what could be better? Ilfracombe Aquarium – Explore the marine life without getting wet! And of course, there are plenty of great holiday parks and places to stay. You just need to go and explore the area and appreciate the views and sceneries. The magical sunsets and amazing sunrises. Well, what can I say? Woolacombe sounds like the perfect place for a family holiday, with surroundings that have so much more to offer for all the family. Like any where in the UK, the weather is not always perfect so having other great activities available is ideal! A great place to stay for families is Golden Coast Holiday Park which has an army of fun family activities such as indoor and outdoor swimming pools, a climbing wall and high ropes course, ten pin bowling and a wavesurfer surfing simulator to name just a few. Golden Coast is winner of Britain’s best holiday park, and it’s right next to Britain’s best beach (voted by Trip Advisor users). 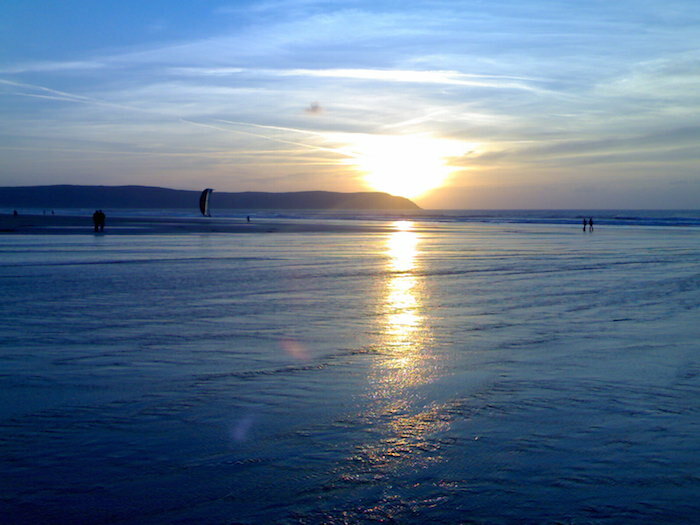 Woolacombe is definitely on my wish list now! 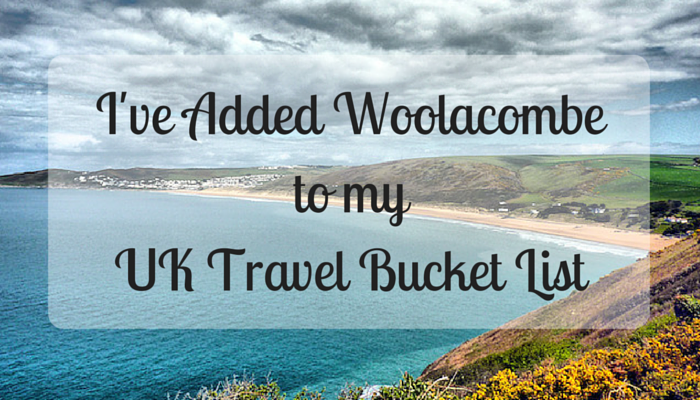 Have you visited Woolacombe before? Are there any things I haven’t covered? 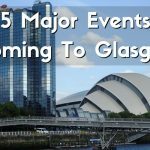 Are there any other places you can recommend in the UK? Please leave your comment as I would love to read your thoughts. Beautiful area with lots of lovely beaches we had our first holiday in the trailer tent there, so it was all very exciting. We were at Twitcham House holiday Park. Lots to do and a large swimming pool. Remember it well, we had a lovely party with decorations up watching Diane and Charles get married on the tv. We went here when I was a child and all I remember is the beach! I love Devon and would happily go back there but it’s a bit of a trek from where we are now for two small children. The whole of the south west coast is a great place for family holidays. What a beautiful beach. Yea I’d have that on my list too if I ever visited the UK. This place looks lovely. I think I will need to pop it down on our places to visit list! That whole North Coast from Devon down to Cornwall is spectacular. Widemouth Bay a bit further along in Cornwall is similar to Woolacombe. Dunes, rock pools, surfing… So much for the kids to do, it’s perfect! Thanks for sharing – inspired for Summer! Gorgeous beach! I’d have that on my list too the next time I visit the UK. What a beautiful area! 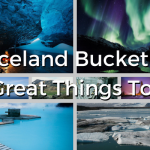 I can see why you have a bucket list.